With the new Domestic RHI now up and running, the renewables market is already growing and as a result, so are the opportunities for installers. Given the number of potential combinations, successful multi-technology integration can be complex. Here we look at the subject of integrating heat pumps, solar thermal and warm water underfloor heating systems, the legislation that may affect what you do and the help available to achieve a successfully integrated system. Is the customer applying for the Domestic RHI? The first question to ask is whether your customer wants to apply for any of the government’s financial incentives – the Domestic RHI and the Green Deal. The Domestic RHI pays homeowners quarterly over a seven year period, helping to offset the initial cost of installing the renewable technology. Tariffs vary depending on the technology that is being installed. The Green Deal helps with the up-front costs of installing energy-efficient products offset against future energy savings. If the homeowner is interested in any of the above it means that both the renewable product and the installer must be MCS approved and there will be a list of requirements that must be fulfilled in order to obtain an MCS Certificate and access funding. There are plenty of approved generic installation training courses available throughout the UK and most suppliers offer short courses in their own products. MCS approval for installers is based on training/qualifications in installation of the relevant technology followed by site inspections to check the quality of the work and provision of the correct documentation. To allow you to concentrate on practical aspects of the job rather than admin, Nu-Heat supplies a comprehensive System Handover Pack to MIS standards that contains all relevant paperwork, manuals, bespoke M&E schematic drawings, heat loss calculations, energy summary, commissioning documentation, warranty certificates, health and safety information and user manuals. Regardless of whether or not your customer is hoping for external funding it is vital to assess the project for the aspects that will affect product choice and system efficiency and then to discuss this with the supplier – they will be able to specify a sensible and cost-effective range of products based on your assessment and overall performance needs. System design is fundamental to the success of any heating system, especially when it involves renewable technologies. A heat pump system must be designed to MIS3005, solar thermal to SAP 2013, and UFH in accordance with the Domestic Heating Compliance Guide. The overall system must maximise efficiency whilst providing effective performance; and the fact that the UFH in particular will become part of the structure of the property means that the specification has to be right first time. As a minimum the supplier should incorporate information relating to the building’s orientation, location, age and construction, insulation and heat losses, heat output requirement and DHW load into the system design and then tailor the specification to the available budget. Having accurate information from the supplier allows installers to offer their customers genuine advice on whether a heat pump or solar thermal is suitable for their property, the size of unit needed, if there is a need for supplementary heating and, if so, the best technology to use. The customer will be happy to have impartial advice from a professional installer, the system will heat the property fully and there will be fewer callouts. 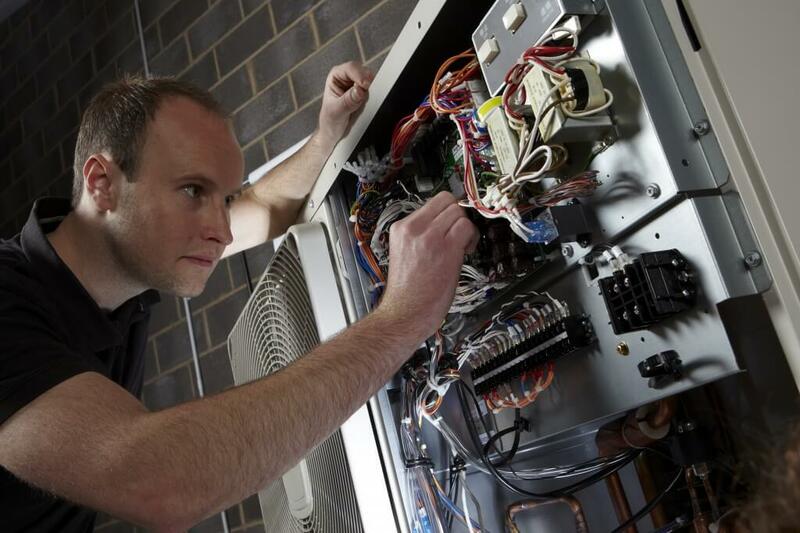 The best possible outcome for both installer and supplier is a happy customer, which is as much to do with system design and specification as it is with your ability, as there is little point having beautifully installed equipment that fails to heat the house effectively or provide enough hot water. Therefore, our recommendation is to choose your supplier carefully; a good one will save you time and effort as well as help to maintain your professional reputation. For guidance on integrated renewable systems, call us on 0800 731 1976. Find out more about heat pumps and solar thermal.